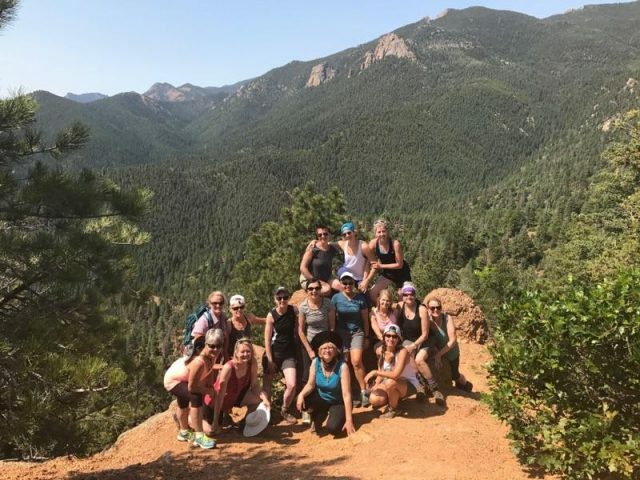 I’m very blessed in that I love what I do, and last week was no exception with the awesome beauty and empowerment that came with co-leading our yoga and hiking women’s retreat in Colorado with my dear friend and colleague, Nina Roberts Salveson. Over 7 days, we hiked up and down miles and mountains, rafted down whitewater in June (meaning the levels were HIGH and we got wet! ), practiced yoga at the Red Rocks, saw native cave dwellings, rode on sweet yet sometimes temperamental horses through the Garden of the Gods (ahem… well, my horse just wanted to linger and eat! ), and supported each other through the challenges and successes that come with a retreat of ADVENTURE! If you missed the trip but want to join, we plan on doing this women’s retreat annually to different locations around the US to live in nature, unplug from technology, laugh with like-minded yoginis and celebrate the beauty around us. Other than that, June was a busy month of teaching, and this week I’m technically on STAY-cation with my son, River, so I’ll bid adieu to you and you and you and head back outdoors to the hot, hot sun and muggy SUMMER weather that I crave so much in the cold winter months and work on weeding my back yard!